In the United States, every class of citizen, from prisoners to soldiers, is legally protected from corporal punishment–except for children. Unlimited Justice, campaign by Mark Ecko to end corporal punishment in schools. Students become real life activists, game-like heros by using foursquare and their smartphones. A novel way to bring home the otherwise abstracted feeling of a national problem. The final step of the campaign encourages an army of young citizen journalists to curate striking images, compelling stories, and local reports of corporal punishment in the 20 states where it is still legal. Last year, Sprint gave students in a marketing class at Emerson College 10 smartphones with unlimited wireless access. In return, Sprint received free marketing work for their budding 4G network in Boston from students who blogged and tweeted, and more importantly were able to record firsthand how social media could be effectively used at the company. Unbeknownst to many, companies have increasingly turned to universities for research on social media. This isn’t highly unusual, as traditionally manufacturers have given financial support to universities conducting research relevant to their companies. In the past though, support has been given to “hard” sciences, for example to the research of pharmaceutical drugs. Companies had never partnered with universities to better understand social media. However, this appears to be changing. Programs at Northwestern, Emerson, Arizona State, and the University of Florida have been partnering with businesses to specifically research how social media can be used effectively. “It’s allowing for a new kind of research that just wasn’t even possible a few years ago,” says associate professor Dmitri Williams, the Wall Street Journal reports. In a world where social media continues to be a buzz word, businesses are looking for every advantage they can get. As an example of how social media is being examined, the Wall Street Journal reported that at one class at Arizona State University, the students divided into teams to generate buzz around FoxSportsArizona.com. Fox Sports Net, a group of regional sports channels, will be working with 10 schools as part of a program it calls Creative University. Despite the successful results from the companies thus far, is it a good idea for companies to conduct social media research at the university level? Although there are advantages, as seen above, there are hidden costs as well. The time needed to establish a partnership with a program and the commitment the company gives to a university and its students; these may not always be financially related, but they are important nonetheless. Even with this commitment, in return the company would receive students who spend a limited amount of time per week on the project and who have multiple sources competing for their attention. As creative as students can be, they are not working 9AM to 5PM on these projects. The lack of time and attention is particular true in the examples above, where businesses partnered with undergraduate programs. Traditionally, companies that have lent financial support to “hard” sciences have supported graduate programs, namely PhD students, and these students, in addition to having more time to spend, are under strict supervision. A PhD student, it could be argued, is more similar in their commitment to a project to a full-time employee than to an undergraduate student. So what is it that brings total strangers together, against all the odds, to meet and share very personal perspectives on their own lives and where they live? Over the last week in Peterborough, residents have been braving the freezing weather to take part in ‘Take Me To’, the first commission of Arts and Social Change and delivered by the artist team from Encounters and Nicolas Henninger from EXYZT. It was astonishing to see how people were prepared to sit on a mini bus all day with strangers on such a cold weekend and go for extended walks in each others’ communities. This was a group that included young children in push chairs and elders with walking sticks – all of us out there, on the ice, listening to stories. On my bus there was Lionel and Helen, a retired couple who live in Yaxley, facing the fens, Hilary, who lives in the heart of the most ethnically diverse part of Peterborough and Mixey, the young rapper and Poet Laureate of the city in his childhood home of Werrington. The stories were moving, thought provoking and enlightening for our own lives. We also had the privilege of being invited to the home of Jack, an elder on a travellers’ site and had fantastic soup made from the produce of the Green Backyard. But it was the opportunity to both share something very personal about one’s own place and hear about someone else’s, in particular, someone very different to yourself that clearly drew everyone in. Lionel said that never in a million years would he have visited Werrington without this and yet now, everything about the city has changed for him. We stood in Hilary’s front room listening to a recording of the Call to Prayer after listening to her stories of living within a Muslim community but not being religious at all and the impact of this on her own life. Viewer advisory: This program contains explicit language. Wine Library TV’s Gary Vaynerchuk gives his no-holds-barred take on how modern businesses must adapt to thrive in a social media-driven culture. On November 5, L2 and NYU Stern hosted its second-annual Innovation Forum at The Morgan Library in New York City. The full-day event addressed innovation in digital marketing and implications for prestige brands. L2 Forums are the largest gatherings of prestige professionals in North America. Forums draw C-level executives and top marketing and digital talent from prestige brands; leading agencies, media, and technology firms; and innovators and academics. In addition, 25 percent of seats are reserved for students from the nation’s top business and arts graduate programs. Gary Vaynerchuk was born in Babruysk, U.S.S.R. (today Belarus) on November 14, 1975 and emigrated to the U.S. in 1978. He graduated from Mount Ida College in Newton, MA. From a platform as co-owner and Director of Operations of Wine Library, a wine retail shop in Springfield, New Jersey, Vaynerchuk gained fame as the host of Wine Library TV, a daily internet webcast on the subject of wine. Called the “king of social media”, he is one of the first Facebook users to max out his friend limit, with over 17,000 pending friend requests. He is in the top 100 people followed on Twitter and was the keynote speaker at events like the 2009 South by Southwest Interactive conference and the New Media and Web 2.0 expos. 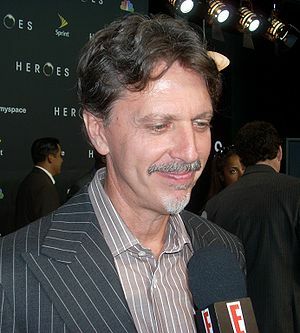 Tim Kring, the man behind the entertainment concept of ‘Heroes’, has a cool website called ‘Conspiracy for Good.’ It’s in partnership with Nokia. Conspiracy For Good, an inaugural movement that blends online and real-world tasks to effect social change through audience participation. Conspiracy For Good blurs the lines between fiction and reality, compelling the audience to become a part of the story with real world outcomes. It creates a new genre of entertainment which combines rich narrative, philanthropy and commerce. We call this genre “social benefit storytelling”. It will bubble up this summer in London when the story, the action, its characters and participants takes to the streets of the city. The Conspiracy for Good is not just a story. It is a movement. Much like it has always been, individuals are now being “tapped on the shoulder” but now electronically and asked to join this movement to continue to make the work of the Conspiracy for Good a reality with global impact. By participating, members of CFG have the opportunity to affect real word change from the environment to education, to the economy by applying their unique abilities, talents, networks and passion as an active part of the story.